Newcastle’s young coach Ian Cathro joined Newcastle in the summer of last year and joined Newcastle as one of the best young coaches around. He was hired by head coach Steve McClaren who proved to be completely out of his depth at Newcastle and was fired last March. When Ian joined Ian had just served as the assistant manager at Rio Ave for a couple of years from 2012 and then for one year at Valencia. Both were with manager Nuno Espírito Santo – known as Nuno – who moved to Porto in the summer after resigning from Valencia last year. The two men had first met at an SFA coaching course in Scotland back in 2009 when Ian was just 23. Nuno is giving various interviews because Porto play against Leicester City tonight in the Champions League. 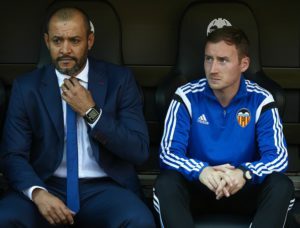 Nuno and Ian Cathro took Rio Ave to be runners-up in both Portuguese cups in 2013-2014, and at Valencia they reached 4th place in La Liga in 2014-2015 and qualified for the Champions League. But then Nuno parted ways with the Spanish club in November of last year. But things certainly didn’t improve under the replacements that followed him – Gary Neville and then Pako Ayestaran. When Rafa signed for Newcastle he decided to keep Ian Cathro and the goalkeeping coach Simon Smith and commented he had heard very good things about Ian as a young coach. At some point in the future Ian has said he would like to be a manager and he will certainly be learning a lot about that from Rafa Benitez. How Will Newcastle Fare Against Norwich? Jib – blissfully unaware that in any fame, modern or historic, the sharp end of a goalies’ game negates all the other niceties when he can’t do it well. Tsunki – there’s one or two Google link posters on here who I’d like to see walking into crosstown traffic without looking first. I’m sure there would be an audience applauding all along the watchtower when that happens. You’ve said something negative about St Rafa. You’ll be condemned as a heretic. By the way on Shearer. We won nowt during his ten years at the club. He was paid a fortune and for the last 6 of those years we set the team up to service his needs. That would never have happened at Man U, Liverpool or Arsenal. We had some great moments and I’m grateful to him for that, but we did as much for him as he did for us. Puff, pant, might just catch the train…………………….made it just!!!!! When a team is under the type of pressure ours has had for the past few seasons it becomes difficult for a GK to find someone to pass too. Therefore the long hopeful ball upfield is the only way out. Yes this does invite more pressure as it does as often as not come straight back making the GK job even harder. It certainly doesn’t help when your defenders were Taylor and Collocini to mention just two. Unlike Sels, Krull didn’t had the luxury of a competent defense in front of him (albeit in a lower division) so comparisons are moot points. Everything has a relevance even in football. Not unaware – blissfully or otherwise. My point is (speaking slowly cos it IS Tsunki) that the sharp end stuff is pretty much even steven between all our goalies , it’s in the other parts of their duties (as Jayfoto pointed out yesterday ) that Sels is so markedly superior. Jib thanks for the slow speaking it really helped. 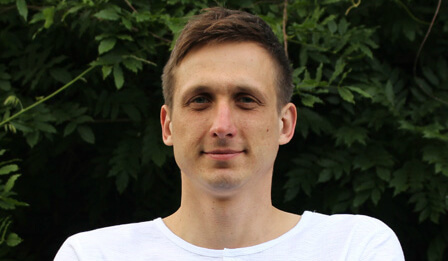 But surely, I know… bear with me on this, if you have to choose between a good positional shot-stopper with lacklustre distribution, or a sublime distributor who couldnt stop a pig in an alley….erm… well… ermmm…. The Tyne bridge was an ugly bodge job and everyone who worked on it was a drunken slacker….how am I doing? Why did the discussion of Hendrix start? Lesh, indeed I was a late riser following the debate in the early hours. Disappointing really. I think they both have not just skeletons in their cupboards, but entire cemeteries locked away, so both were worried about starting first. I was hoping for a bloodpath, but got a babyshower at best. 🙂 Maybe next time. With Sels, I wonder if Rafa told him that he would give him 10 games to settle in without the pressure of being dropped – barring monumental disasters – as we know this sometimes happens. If so, it’s unlikely he’ll go back on it. I’m sure he can see and will take action eventually. New country, new club, new defence etc, he may have given him time to settle in. I agree though, it’s time he did settle in or move over for Darlow.